Iconic ALAÏA tread sole boot with lace up closure. 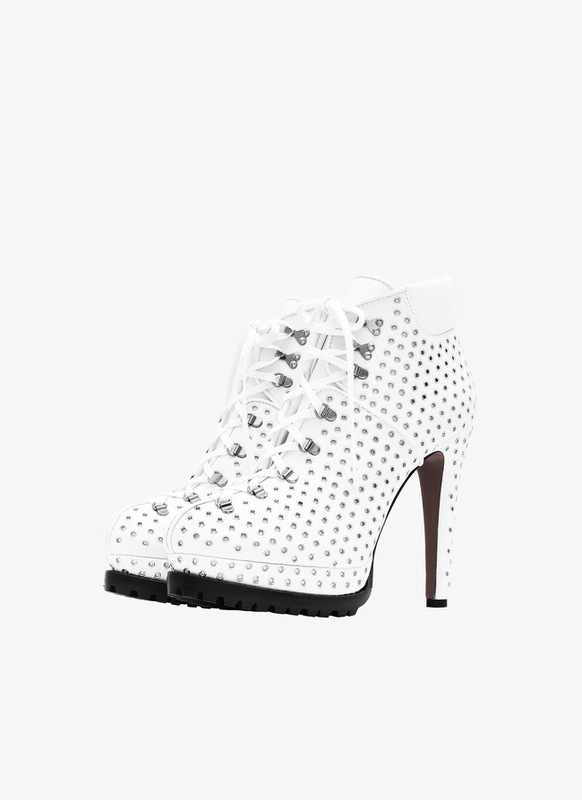 Allover grommet studding on optical white leather. 135mm heel and 25mm platform.